All screenshots were made with Microsoft Flight Simulator 98 with add-on scenery and aircraft! Visit www.flightsim.com for all of your Flight Sim needs! Here I am flying my Piper Seneca V N95D designed by Graham "Dotcom" Waterfield over Las Vegas, Nevada. This fabulous airplane has fantastic moving parts effects. You can download the aircraft and thousands of other great files at Flightsim.Com. Everyone who has been "flightsimming" for any number of years knows about the Merrill C. Miegs Airport on Lake Michigan in Downtown Chicago, Illinois. This is where Flight Simulator started, and it has had more "takeoffs" and "landings" than any field in the flight simulation world. Here's an animated gif of me landing my Cessna 182 on a clear day. However, when the wind whips up on the lake, it takes nerves of steel and lots of rudder action to put her down on this short strip! Of course, if the weather is too bad, you can head over to O'hare and make an ILS approach. The most important aspect of any simulation is realism, and Flight Simulator 98 and 2000 deliver plenty of authentic action! One thing you might want to know before you purchase a new Flight Simulator ... they require lots of computing power. If you are considering purchasing Flight Simulator 2000 or Flight Unlimited III be sure to have a processor speed of at least 400 MHZ, 64MB of ram, and a fast 3d card with at least 16MB of ram. This is the absolute minimum, you'll need more to enable all of the features. Otherwise you will be disappointed with performance. Like to fly in real weather? Flight Simulator 2000 will acquire the latest weather data from the National Weather Service and feed it into your computer for real time and weather conditions. Fantastic! 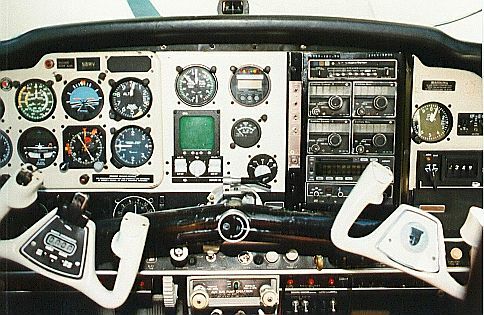 The first time I took the controls for real was in this 1968 Beechcraft Bonanza owned by my friend Harold. We took off from Costin Field in Port St. Joe, Florida and toured the area. 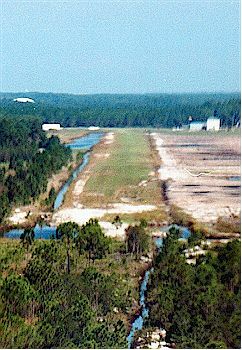 My Flight Simulator practice enabled me to control the aircraft adequately, but we had to rely on Harold's skill and experience to land the plane over the treetops to the tricky sand and grass strip at Costin. When I got back to Atlanta, the first thing I did was to start Flight Simulator to see if tiny Costin was one of the 3000 included airports. You bet it was! I was able to re-create the entire flight including the tour of St. George Island including the famous leaning lighthouse, the touch and go at Appalachicola and the flight up the beach to wave to the wives. ( They were not included in FS98. but were visible on the real flight ) Anyway, life does imitate art and if you want the best all around value priced flight sim available be sure to check out Microsoft Flight Simulator 98! 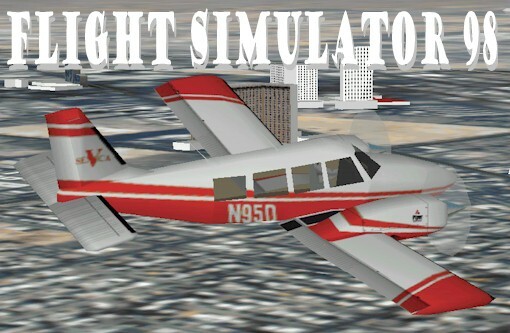 If you want a sneak peek at Microsoft Flight Simulator 2000 just click the link. It will use Jeppeson data for very realistic terrain detailing. Also Flight Unlimited III has just been released and the scenery of the Seattle area is unmatched by any other product. However, this fine program needs plenty of computing power so unless you have a fast computer and super 3-d card this artistic dream will run slow. Minimum 450 MHZ PII with 16MB 3-D card! Flight Simulator 2000 Now Available from Microsoft. Flight Unlimited III Looking Glass technologies has the best local scenery around. Fs98.com Another great site with loads of files.